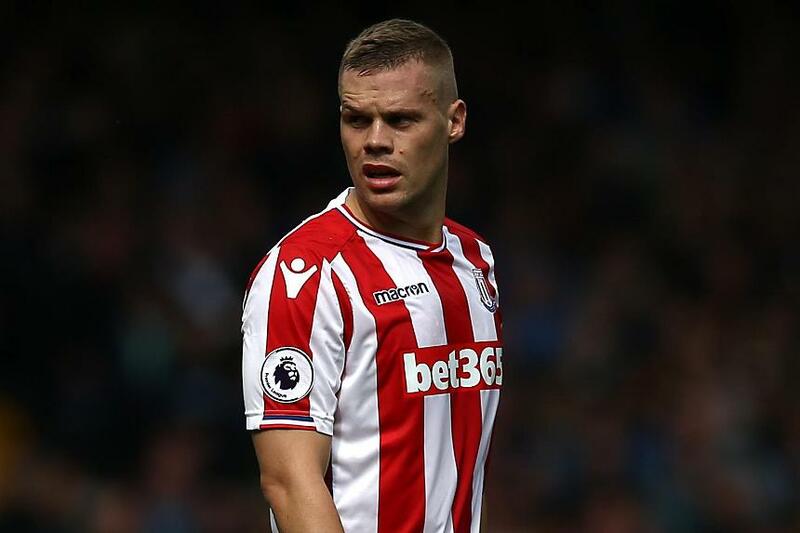 Stoke City captain Ryan Shawcross has been ruled out of Saturday evening's match against Manchester United with a back problem. The 29-year-old defender suffered the injury in training and will miss the 17:30 BST kick-off at the bet365 Stadium. "Ryan Shawcross will certainly miss the game at the weekend," manager Mark Hughes told stokecityfc.com. "We aren't quite sure how long he is going to be out of action for but we hope that it settles down quickly." The injury could allow Kevin Wimmer, signed from Tottenham Hotspur, to make his Potters debut.